Personally, I can’t wait. Plants vs. Zombies was one of those games that Android enthusiasts had to wait what seemed like an extraordinary amount of time to get. Hopefully this time around, they launch on a variety of platforms. SEATTLE, Washington – August 20, 2012 – PopCap Games, maker of some of the world’s most popular video game franchises and a division of EA, today announced that the underground growth of the sequel to Plants vs. Zombies™, one of the world’s most popular video games, is germinating and advancing with rigor. 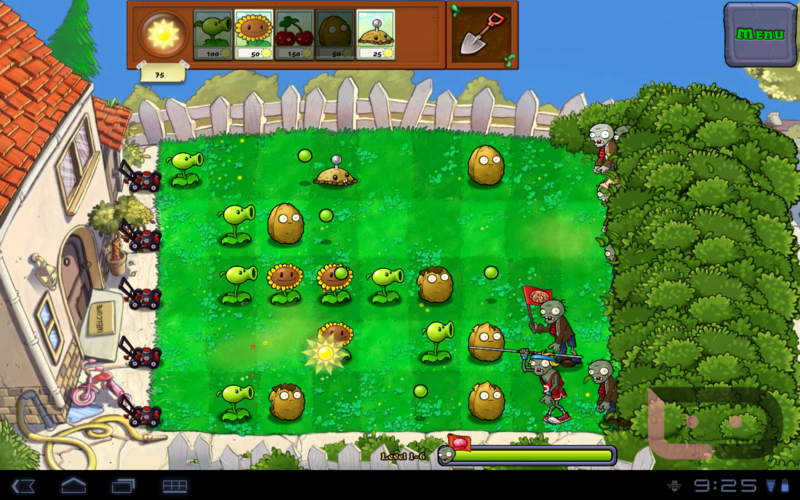 The sequel to Plants vs. Zombies is expected to launch by late spring 2013, and will include a bevy of new features, settings, and situations, designed to delight the franchise’s tens of millions of fans around the world. No other details of the highly anticipated new installment in the franchise are available at this time, beyond the following comments from some of the game’s denizens. Known for its quirky, one-of-a-kind blend of art, humor, polish and attention to detail, PopCap has been a mainstay of casual, mobile and social gaming for more than a decade. More than a billion people around the world have played PopCap’s video games, including the award-winning, blockbuster franchises Plants vs. Zombies, Bejeweled®, Zuma®, Peggle® and Bookworm®. The breadth of PopCap’s audience is similarly impressive, as its games appeal equally to both genders and all ages. PopCap Games is the leading global developer, publisher and operator of casual video games: fun, easy-to-learn, captivating games that appeal to all ages across PC, mobile, social and other platforms. Based in Seattle, Washington, PopCap was founded in 2000, was acquired by Electronic Arts in 2011, and has a worldwide staff of more than 600 people in Seattle, San Francisco, Vancouver, B.C., Dublin, Seoul, Shanghai and Tokyo. PopCap’s games have been downloaded over 1.5 billion times by consumers worldwide, and its flagship franchise, Bejeweled®, has sold more than 50 million units. Is the GT-I9260 Really the Next Nexus From Google and Samsung?